I'm not a huge fan of grocery shopping. I like to get in and out of the store as fast as possible. 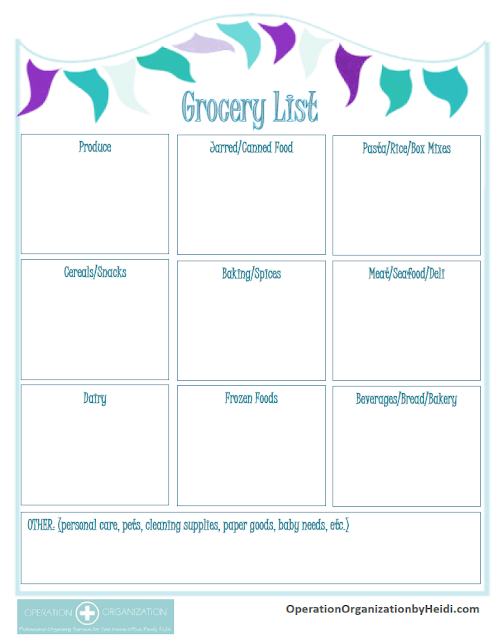 I have found that the best way to do this starts with preparing my grocery list at home. Once I've planned my menu for the week, I write out a list by category of where the food is shelved in the grocery store. It streamlines my shopping experience SO much when I can see exactly what I need as I'm moving through different areas of the store. I also don't loose time back-tracking through the store like I was apt to do when shopping without an organized list. I've made a template to share with you as well! Click on the text link below for a FREE printable grocery list template download! Hello Heidi, an excellent completely original and interesting idea to optimize its time. This looks like a really handy list to have. I'm going to print it out and laminate it. 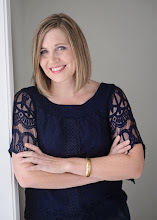 I have a weekly linky party called "Thriving on Thursdays" here in Australia where I feature recipes, crafts, make up tips, decluttering and organising advice, anything goes really. I'd love it if you could link this idea up. I know my friends would love it!